Feeling in need of a hug? Then why sit back and relax on a headless torso cushion courtesy of London-based Aseptic Studio? 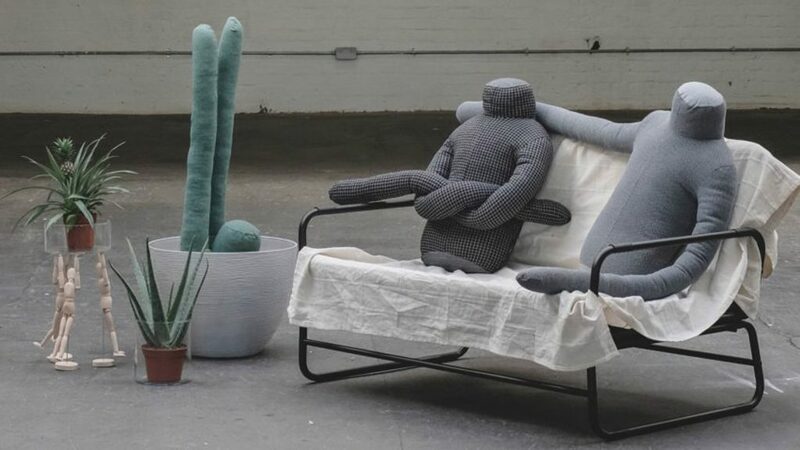 The ergonomic, human-shaped cushion, The Mannequin (above), was created by Studio founder Tsun Lai who found inspiration in the clothes mannequin he used to cuddle in lonely moments while studying menswear and tailoring at London College of Fashion. The cushion is filled with soft polyester balls and covered in a cotton shell. 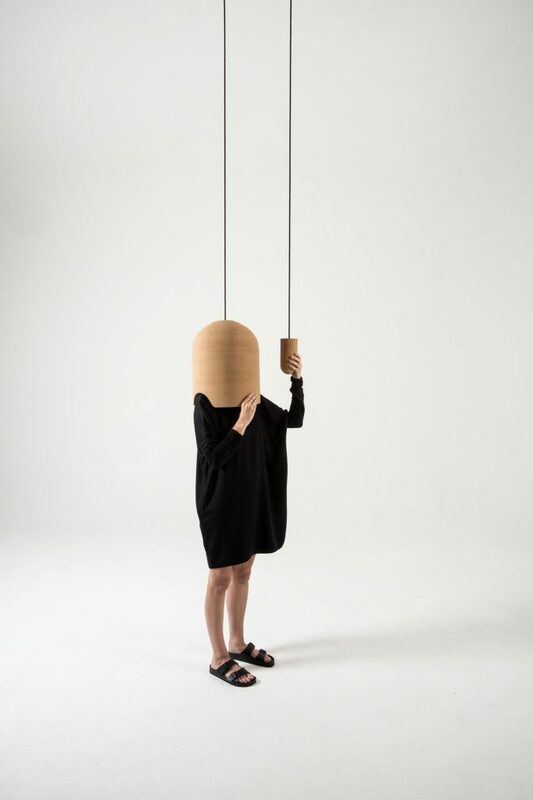 The neck is designed to tilt slightly forward to support the user’s neck and head, while long arms can be used either as armrests or wrapped around in a hug. Pierre-Emmanuel Vandeputte is a Belgian designer working from out of his studio at MAD Lab (MAD Brussels Fashion & Design Platform). Many of his pieces are injected with a sense of the surreal like his Yearly Clock (above), a time marker with a difference. Made with the aluminum frame and glass, it is designed to reflect how people’s perceptions of time change as they grow older, with past and present blending “together progressively into a stream of moments that exceed the pace of daily life”. 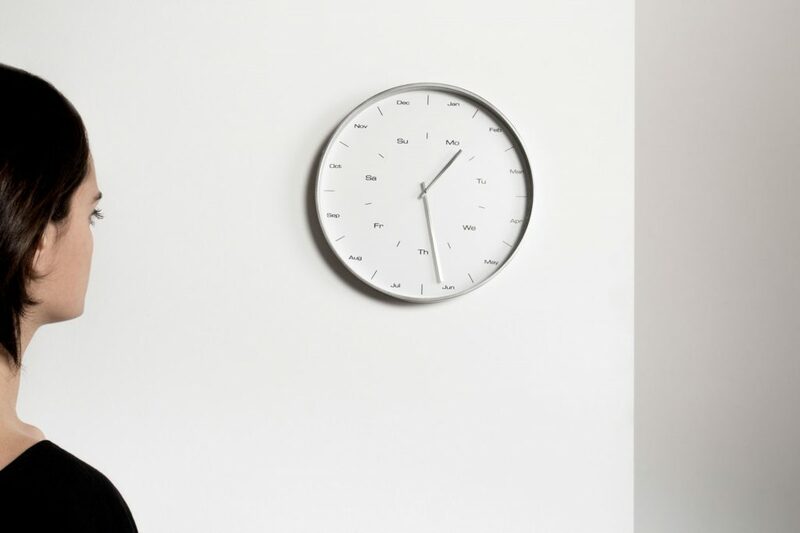 Vandeputte’s clock does not tick away the minutes and hours, but instead, the hands show the passage of days and months. It takes a week for the small hand to have circled the clock face and a year for the large hand. Take a closer look at Dutch Invertuals, a collective of individual designers, each with a different background, but who put experimentation at the heart of their work. For each show, they present a specially curated selection that comes out of discussion and debate about current events in the news, their surroundings and how those things can be made relevant to the show. They build everything themselves, holding regular meetings to discuss and perfect their designs and then twice each year they initiate, curate and share their vision on design “in order to find a deeper understanding of our relation to our physical context, identity and culture”. Brick Chair (above) is a piece of work by Pepe Heykoop of the Dutch Invertuals collective. Described as “a reaction on a drawing made by James Gulliver Hancock. 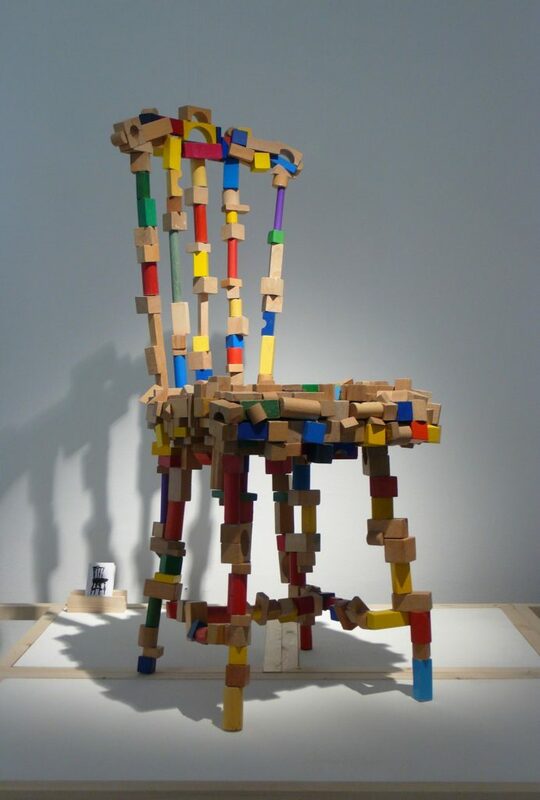 This interpretation has changed the chair into children’s bricks. Meanwhile, Daphna and Laurens like to transform everyday objects into “characteristic products”. 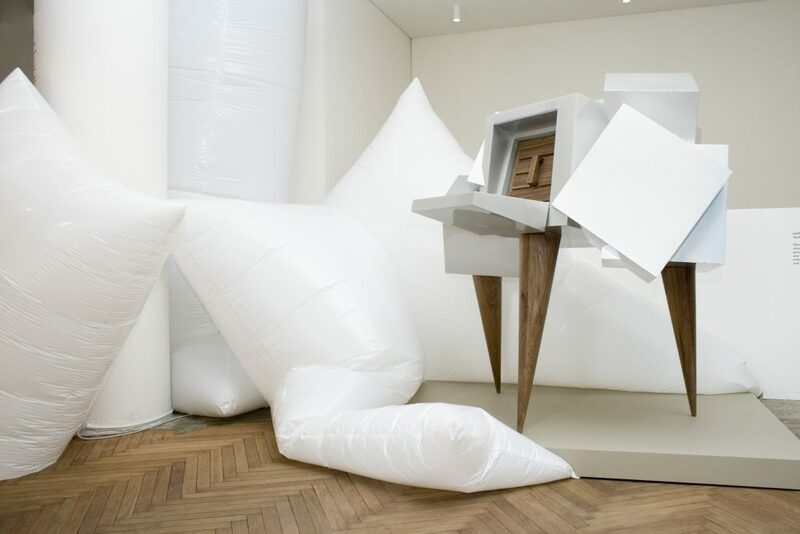 Their Vault is a play on a place to treasure “personal richness: fantasies and collectible, objects of emotion, personal rarities and thoughts” – all created with the intention of making the viewer question the meaning of value.